You’d love nothing better than to be debt-free. You’d have no problem working a second job to earn money to get there but there’s a good reason why you can’t work outside your home. It might be because you have kids and you’re just not willing to check them into daycare. Or maybe there’s some other good reason that’s keeping you at home. The good news is that there are legitimate ways to earn money without ever leaving home. While some of them would require you to start your own small business there are others where you would be working for someone else and have a home office. The Internet and Craigslist have given birth to a myriad of scams and work-at-home-jobs are no exception. Ones to avoid are those where you would need to pay someone to sell their products. Other of these scams might require you buy a training book or CD that will teach you how to earn money in a certain business. Then there are those that charge for what they claim to be exclusive products, which you’re supposed to be able to sell at a premium. No matter how desperate you are to earn extra money always keep in mind the old saying that “if it seems too good to be true it probably is”. For example, one of the most common scams found on Craigslist is where you’re hired to do something then “accidentally” sent too much pay at which time you’re asked to wire back the difference. What then happens is your bank discovers that the original check you were sent is a fraud and you end up on the hook for hundreds or even thousands of dollars. 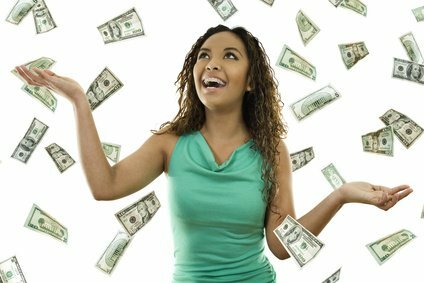 Fortunately, there are legitimate ways to make money without ever leaving home and here are six of them. Here’s an area where the Internet has definitely changed things for the better. You could decide you want to be a freelance writer and could possibly snag an assignment that very day. As you might guess the better your skills and training the more money you can charge. Where can you find work as a freelancer? You could write for magazines – either in print or online. There are also sites such as Upwork.com, Elance.com and Fiverr.com where you could find work. The first thing you will need to do is figure out the market you would like to target begin and then create some samples related to it. Beyond this, here’s a video that shows you what you need to get started as a free lance writer when you have absolutely no experience. Do you have a particular skill such as playing a musical instrument, photography, candle making or dog training? A second great way to earn money from home is to sell classes where you teach people your skill. This will require some attention to detail and serious planning. For example, you will need to be able to explain to people exactly what they will get for their money and you must be able to do this effectively and concisely. You will also need to decide how often you want to teach your class and those times of the day that will work best for you. And never forget that once you sell a class you’ve just made a commitment that may be weeks – or months – long. Do you have an innate ability to create beautiful things? If so, here’s yet another way to make money – and serious money – from your home. There’s now a huge market for homemade and vintage products that’s showing no signs of eroding. Just as the Internet is full of opportunities for freelance writers it’s also full of sites where you could sell your items. One of the most popular of these is Etsy where artists can sell their stuff at a fair price. Etsy.com has more than 40 categories from clothing to gifts to jewelry and you can get your site connected to Etsy for just $.20 per listing. You will need to do some research to learn what’s selling so you will know what to offer. In addition, you will need to blog about your site, pass out business cards wherever you go and be a fairly good photographer as prospective customers won’t not be able to see or touch your products. You could make good money working for a call center if you have a pleasant telephone voice, a quiet place in your home to work and the ability to think on your feet. These call enters are for businesses that can’t afford to have someone sitting around waiting to answer their phones 24 hours a day. Calls from customers needing help go to a call center and are then routed out to people who work from their homes. In addition to having a good voice you must have a computer and software so you would be prepared to answer customers’ questions. These jobs pay an average of $9 an hour and some even offer health, dental and even 401(k) plans for their employers. In addition to having your own computer you will need a landline phone, earphones and an Internet connection. Even more importantly, you’ll receive a lot of calls – some from very angry customers – and you must be able to operate with grace under pressure. If you have the right kind of knowledge you could sell yourself as a consultant for a fee. As an example of this, if you have a background in marketing or fundraising you could help a non-profit organization raise money. Individuals also often use consultants. This could be for financial or tax advice, graphic design or website building. Naturally, you would need to have a good deal of experience in whatever area you want to build your consulting business. Clients will likely be visiting your home so you will need to have a neat and well organized home office and, hopefully, one that’s in a nice quiet area. Finally, if you have excellent typing skills you should be able to find at-home work as a medical transcriptionist. Most doctors don’t want to have to pay for their own transcriptionist so they dole out the work. You will need to understand medical jargon and health topics. You may have to take courses that will teach you this. They generally cost around $3000. You may have to start out by offering to work free to get a history under your belt. You will need persistence and diligence and maybe a little luck to get that first assignment. The good news is that if you can get a job with a reputable company it will likely provide you with the equipment you will need except for a fast Internet connection.